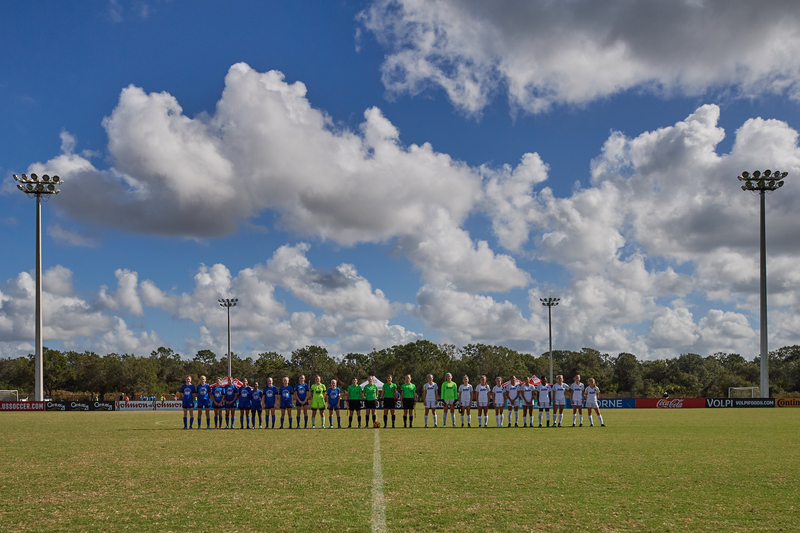 Following group stage play and quarterfinal knockout games in San Diego during the Academy Showcase and Playoffs from June 18-30, the top four teams from the Boys' U-16/17 and U-18/19, and Girls' U-15 and U-16/17 punched their tickets to Kansas City. The semifinal matchups were determined based on original playoff seed, with the highest regular season finishers squaring off against the lowest. Boys' semifinal and final games will take place on July 8 and 10, while Girls' finals will kick off on July 9 and 11. Academy HQ: The Academy offices are located next to the entrance to the facility. Roster Books/College Coach & Scout Check In: Roster books will be available for scouts and college coaches via digital download prior to the event. If you have not registered to recieve a digital copy of the roster book, please click here. Upon arrival, please check in at the College Coach & Scout Hospitality tent located next to DA HQ. *All game times and field #'s are subject to change based on field suitability at SoCal Sports Complex. All game times are listed in Pacific Time. The Development Academy will highlight the quality of clubs and players with a series of Feature Games, which will be streamed live by U.S. Soccer. The link to view the Feature Games will be available at www.ussoccerda.com. All games will be played at SoCal Sports Complex - Stadium Field. Follow the Development Academy on Twitter (@ussoccer_da), Instagram (@ussoccer_da), Snapchat (@ussoccer_da) and Facebook for all of the latest stories, photos, and news for the entire event. Share your videos and photos with U.S. Soccer by using #SummerShowcase, and/or #WorldClassDA. Communication will be sent by the U.S. Soccer Development Academy Office confirming all schedule changes due to inclement weather. This communication will be sent to each club's Academy Director and Administrator via email and will be available at the U.S. Soccer Office Headquarters. U.S. Soccer will provide all medical coverage during the event. Medical tents are located throughout the complex. POWERADE is the Hydration Partner of U.S. Soccer. All sideline hydration will be exclusively provided by POWERADE. To purchase Development Academy Summer Showcase video packages, please visit Touchline Video. 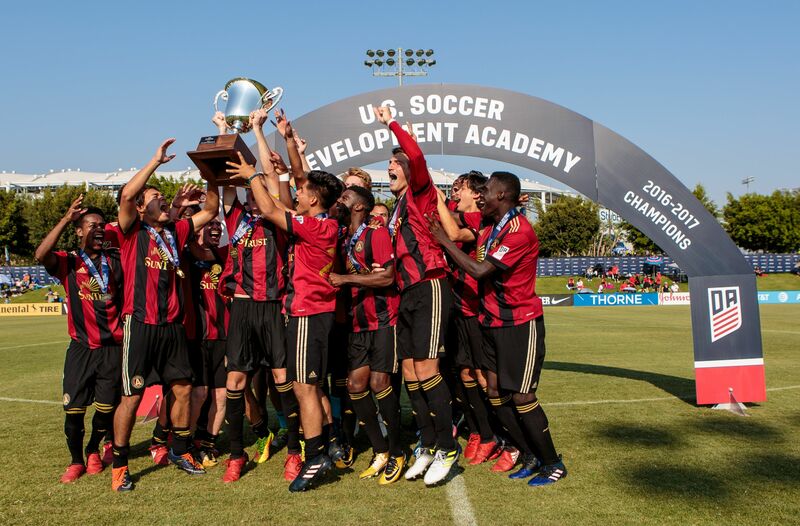 For more detailed information on the Summer Showcase, including roster eligibility, rules and regulations, game operations, and team logistics, please reference the 2017-18 U.S. Soccer Development Academy Postseason Guide here. All parking is located at the entrance to the facility. There is no charge for parking. U.S. Soccer's official store will located next to the entrance to the facility. Purchase your official DA gear on site or online here. Chairs are available for rent through MySportSeat. You can make a reservation ahead of the event here.